The Astros system is loaded with talent but the 2017 draft is shaping up to be a great one for the Astros. Not only are the top picks looking good, but the mid-round guys are looking great too. One of the middle rounders that is pitching well is Peter Solomon. Solomon attended Mount St. Joseph’s HS in Baltimore, MD. He was actually drafted out of high school by the Padres in the 21st round but opted to not sign and attend the University of Notre Dame. With Notre Dame he spent time starting and pitching out of the pen posting a 3.53 ERA with 151 K in 130.1 innings in his NCAA career. The Astros drafted Solomon in the 4th round of the 2017 and he has been great since joining the Astros system. He pitched in just one game following the draft in 2017 but put together a phenomenal 2018 season. Solomon started the year with the Quad Cities River Bandits and went 8-1 with a 2.43 ERA and 88 K in 77.2 innings. 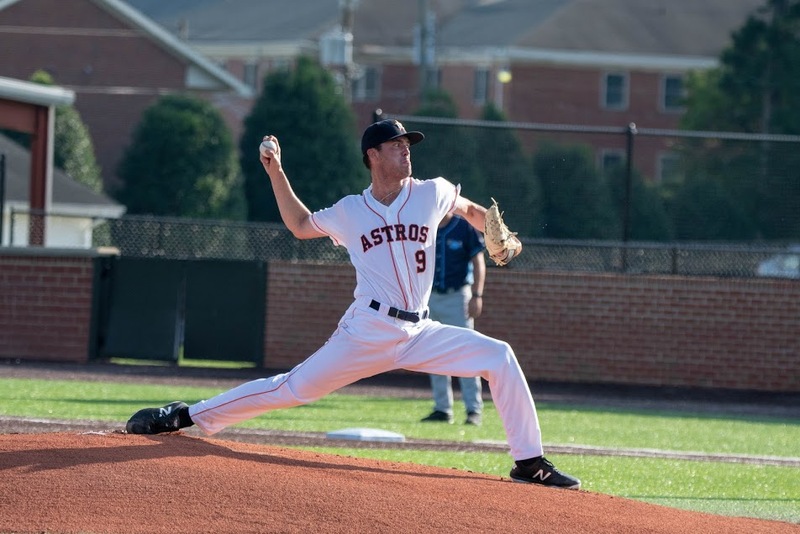 He earned a promotion to Buies Creek where he finished off the season with a 1.96 ERA and 4 BB/26 K in 23 innings. I was fortunate enough to be able to ask Peter some questions about his background and how his season went. Let’s get to the interview. 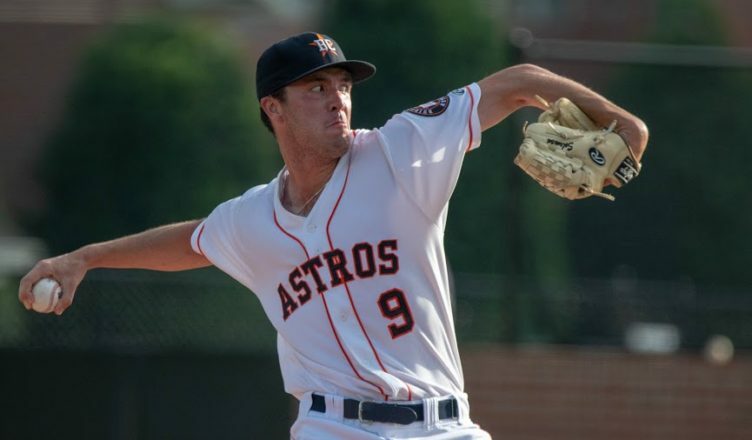 Astros Future (AF): Can you describe the day were you drafted? How did you find out you were selected by the Astros? AF: You were drafted by the Padres out of high school. What led to you decision to attend college instead? AF: What baseball team did you grow up rooting for? AF: Is there a certain pitcher you try to model yourself after? AF: What do you feel you improved the most since being drafted by the Astros? AF: What are your plans for the off-season? AF: Everyone knows the Astros love analytics (spin rate, exit velocity, pitch tunneling). How have you been able to use this to help you on the mound? AF: Can you describe your repertoire and what do you think is your best pitch? AF: You helped the River Bandits set the Midwest League records in strikeouts. What was it like being on a staff that was striking guys out at a rate like that? AF: Did you set any goals for the 2018 season and did you hit those goals? AF: What is one thing Astros fans should know about you? Thanks to Peter for taking the time to answer some questions. 2018 was a great year for him and I’m excited to see how he builds on it in 2019!